2018 marks the 100th volume of Southern California Quarterly, the official publication of the Historical Society of Southern California published by UC Press. In celebration of this milestone anniversary, all articles in SCQ 100.1 will be freely available at scq.ucpress.edu through the end of February 2018. Southern California Quarterly has been published since 1884. 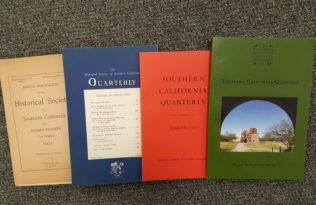 Here, a recent issue of Southern California Quarterly (Winter 2017) with some of its earlier named predecessors (issues for 1901, 1948, and 1962). The latest issue of the Southern California Quarterly is numbered Volume 100, number 1—a number worth celebrating! 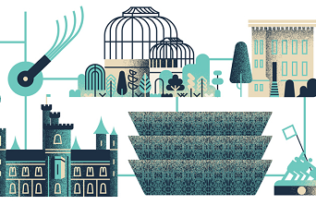 But a more accurate figure of 134 years is even more impressive. The Historical Society of Southern California was founded in 1883. In 1884 the Society published its first journal, titled Historical Society of Southern California, Los Angeles. Under that title, it published an annual journal 1884–1887. 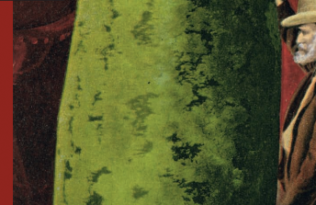 The Society continued to produce an annual journal, renamed the Annual Publication of the Historical Society of Southern California, in 1888–1889 and 1905–1934, appending Los Angeles to the title for the 1891 and 1893–1896 issues and changing the volume numbering system. For the single year of 1890, the Society’s journal just appeared under the name Historical Society of Southern California. There is no record of an issue for 1892, which means that either one was not published that year or merely that no copies have survived. From 1897 to 1901, a partnership with another historical group was reflected in the long title Annual Publication of the Historical Society of Southern California and Pioneer Register, Los Angeles, slightly amended for 1902–1904 to Annual Publication of the Historical Society of Southern California and of the Pioneers of Los Angeles County. In the midst of the Great Depression, the Historical Society took the bold step of expanding from an annual to a quarterly publication, titled simply Quarterly Publication in 1935, a title qualified as The Quarterly: Historical Society of Southern California for the 1936–1949 issues. For 1949–1961 it came out under the title Historical Society of Southern California Quarterly. Finally in 1962 we see the title still in use today: Southern California Quarterly. With the possible exception of 1892, the Historical Society of Southern California has published a journal from 1884 to the present—134 years and counting. Despite all the confusing name and volume-numbering changes, this long record of publication reflects the commitment of the Historical Society of Southern California to making available the historical record of and research on the history of California, the West, and, especially, the Southern California region available to readers and researchers. 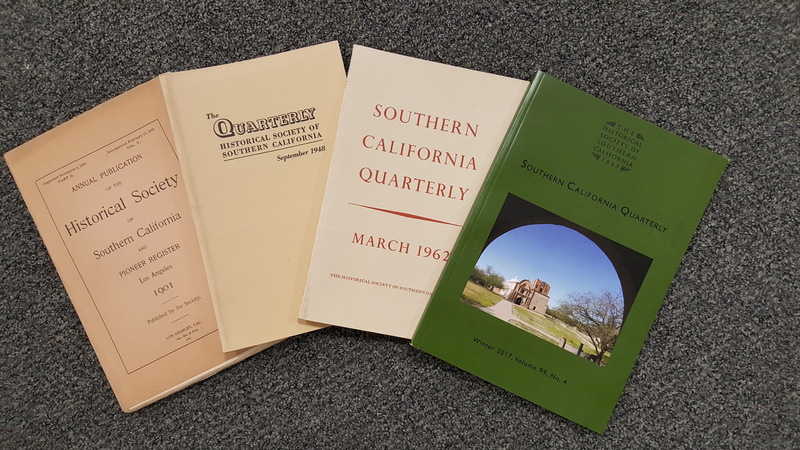 ACCESS OVER 100 YEARS OF SCQ CONTENT: When you become a subscriber to Southern California Quarterly, you get access to all current and archival content dating back to 1884. Click here to subscribe or recommend the journal to your institutional library.